Nothing is available on the market that does not have both a good and a bad side, but the key is to weigh the good against the bad in order to come up with the best of both worlds………. Are We Headed Toward Obsolescence of the 35mm Camera? Are You Ready for the Next Level in Digital Cameras? 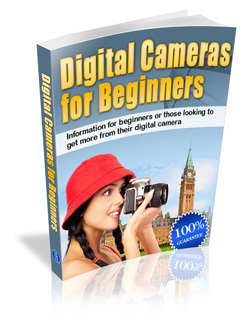 Do You Need the Newest Digital Camera? Film Cameras Are Cheaper – Why Switch? How Important Are Megapixels in a Digital Camera? This PDF ebook retails for $16.00 but our price is just $1.00!